Existing since year 2006, HomeChoice Planners and Construction Corporation has been in the construction field for almost nine years already. It has been nine years already of constructing customized houses and nine years of helping families in building their dream house. Through the years of HPCC’s existence, it has able to build almost 250 customized houses to date. With each houses built and delivered to clients, HPCC has also established good relationship with every client that it has encountered and helped in realizing their dream house. And HPCC’s service to its clients hasn’t stopped even after turnover of the houses; because the company values its customer, serving and addressing their concerns even after completion of the house is part of the company’s commitment to ensure most satisfied customers. As a way of showing the company’s gratitude to its valued customers, in year 2012, HPCC has started conducting a Customer Appreciation Dinner; inviting its entire past client to a dinner party where HPCC can show its sincerest appreciation to all of its clients for choosing the company as the builder of their home. This year, HomeChoice Planners has held yet another Customer Appreciation Dinner for its 2013 to 2015 clients. 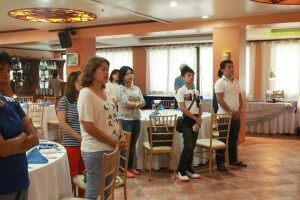 The said event took place at Xavier Sports and Country Club last September 11. With this year’s event, HPCC had the privilege to entertain its clients through various presentations; inspire them spiritually through the word of God as shared by Pastor Elpie Taboclaon and satisfy their stomach through the dinner prepared. HPCC also took the opportunity to let the clients have a taste of Christmas by serenading them with Christmas Carols and giving out of Christmas presents. It was a fun and successful event for HPCC and its customers. Everyone did have a good time during the event. Surely, this event wouldn’t be the last one for HPCC. Heartfelt thanks to all the clients who have participated and partnering with HPCC in building their home. Other clients may have missed the event; HPCC would still like to extend its biggest thanks for the partnership and for touching people’s lives thru community service. Kudos! 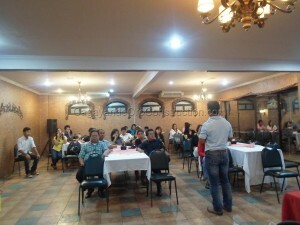 The first Customer Appreciation Dinner was a success and so HomeChoice Planners has yet again conducted a dinner party. And we are just so pleased with the outcome of the second Customer Appreciation Dinner; it was a successful one as well. It was held last 28th of July at Golf Estates Red Brick Restaurant; attended by those clients who have responded to our invitation. Ptr. Elpie Taboclaon of CDO First Assembly of God church together with its members was invited also; as they were the ones who ministered in the fellowship part of the program. 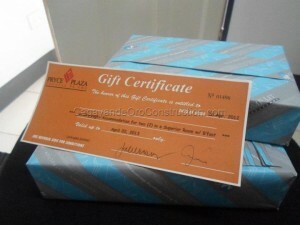 In the event, we gave out tokens to show our sincerest gratitude for the client’s trust in our company. We also thanked our clients for making our vision possible; that because of their help, we were able to be a blessing unto others. We are overwhelmed with the testimonies that some of our clients have shared during the dinner party. 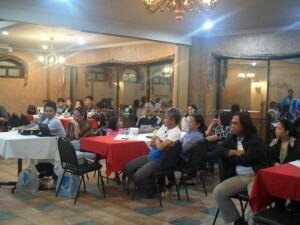 With their testimonies, the more we are motivated to work harder with our on-going and new projects. It served as an inspiration for us to perform well with our tasks and to render good services to our past and future clients. The dinner party ended up in prosperity. The attendees had a nice time and we are happy with the favorable outcome of the event. We, at HomeChoice Planners would like to extend our utmost gratitude to our valued clients. Thank you for the trust and we hope to see you again in our next functions and activities. HomeChoice Planners and Construction Corporation has been in the industry for seven years already. In these seven years, a lot has been done; more than 50 houses were built, more than 50 dreams has come into realization and more than 50 families has been given not just a house but a home. It has been a tough start for HomeChoice Planners but being in the service for seven years now, it has grown into a more competent company. The company wouldn’t be as progressive as it is now without the help and trust of the clients; the families who has so much faith and belief with our work. And also, gave us the opportunity to build their dream house. As a way of showing our gratefulness to those families, our company conducted a Customer Appreciation Dinner last 14th of July at Pueblo Golf Estates Red Brick Restaurant. It was a gathering for our past clients, thanking them for their contribution in the success of our company. It’s also a way of expressing our sincerest gratitude to their trust and reliance with our company’s service. Show them that by working together with us, we were able to make our vision possible: “Blessed to be a blessing”. That whatever blessings we may receive, we heartily share it unto others; by doing medical missions, conduct mass weddings, child dedication services, love drive and a lot more. Through these blessings, it has also helped in fulfilling our agents dream lists; and see our workers with their families in a better state. In the said dinner party, we invited the Ptr. 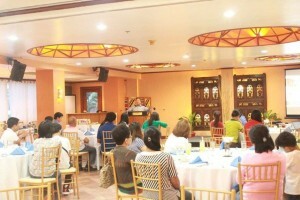 Elpie Taboclaon, Ptr. Daniel Garner, Ptr. Lloyd Yana and other members of the CDO First Assembly of God Church to minister a little fellowship and also entertain us with inspirational songs. We have prepared a video presentation and tokens of appreciation to better show our clients our deepest gratitude. HomeChoice Planners is overwhelmed with the success of the event. 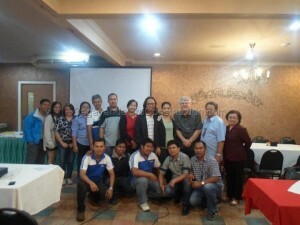 We are glad to see that the clients who have attended had a great time and appreciated our endeavor. For those who have attended the party, again, thank you so much! This event is not the last but just the first of the so many dinner parties that we will be conducting. 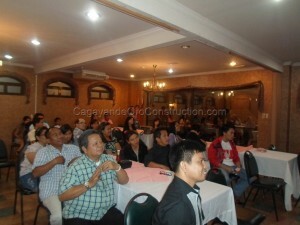 And we are looking forward for the next batch of clients for the next appreciation party. See you all on the next Customer Appreciation Dinner! Together we can achieve more!